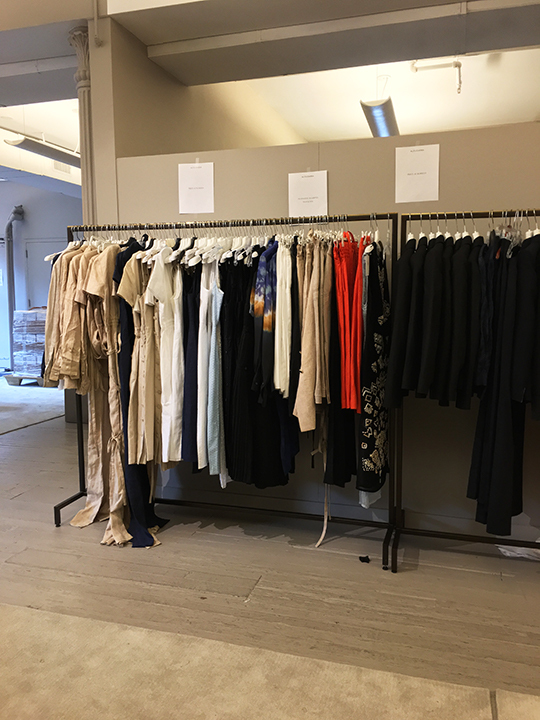 There is nothing like a good ole designer sample sale to make your day, especially now when the city is in its off-season, sale-wise. 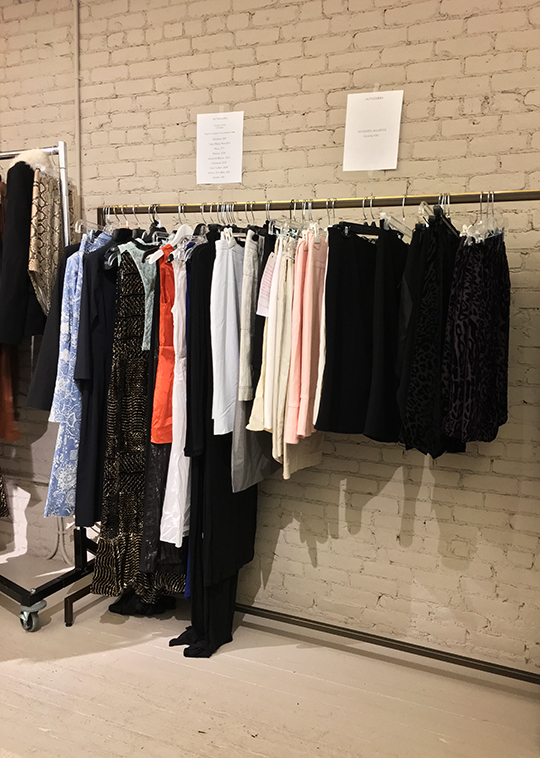 So, when the Altuzarra sample sale popped up on my radar, I was giddy with excitement and scratched everything off my agenda so that I could stop by the designer's downtown Manhattan studio this morning. Want to know what went on inside? 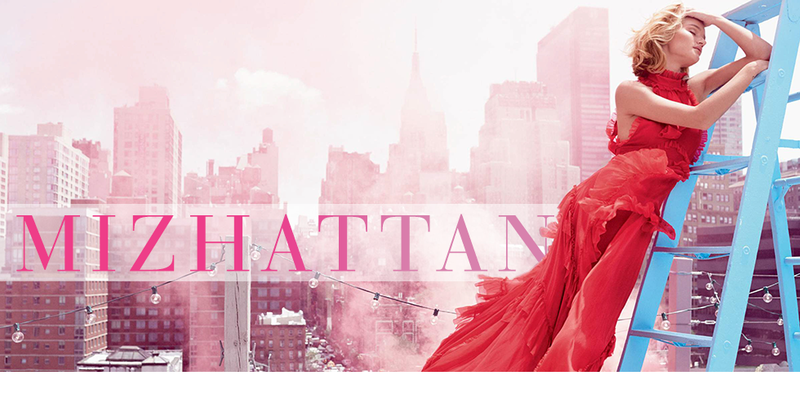 Follow me, all to Altuzarra! 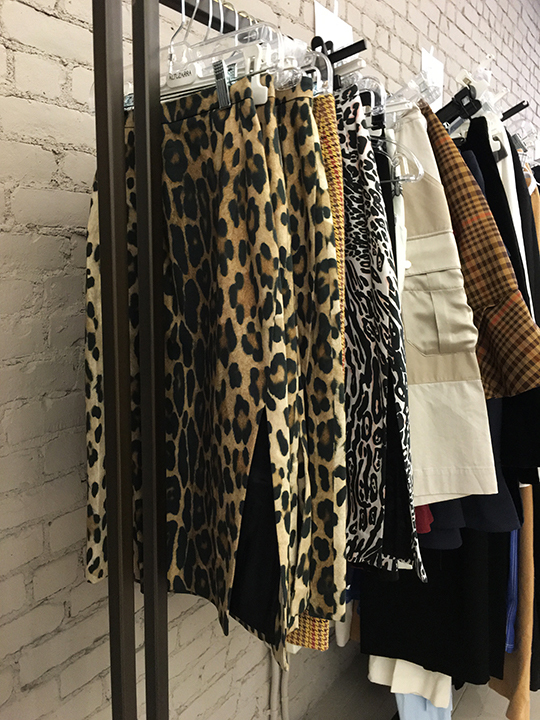 Awarded CFDA Womenswear Designer of the Year in 2014, Joseph Altuzarra's eponymous label can be described as French seduction meets American refinement. 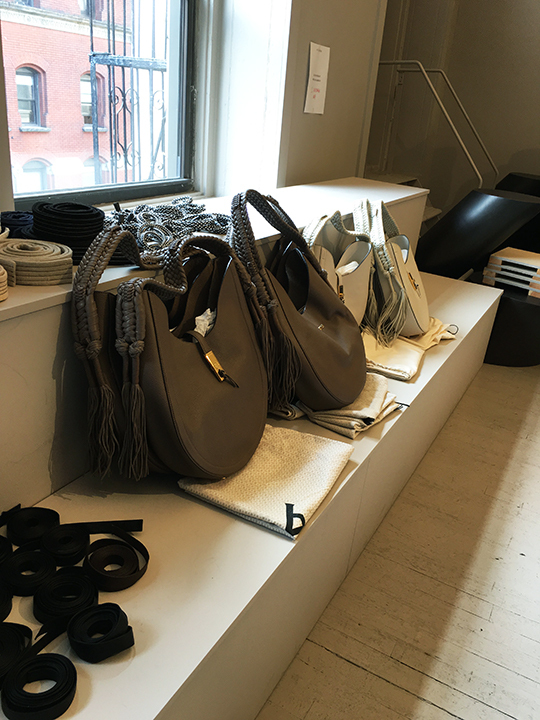 This morning, at the start of the brand's 3-day long sample sale, I found the designer's showroom to be neatly organized with his elegant ready-to-wear collections, shoes, and recently launched handbags. 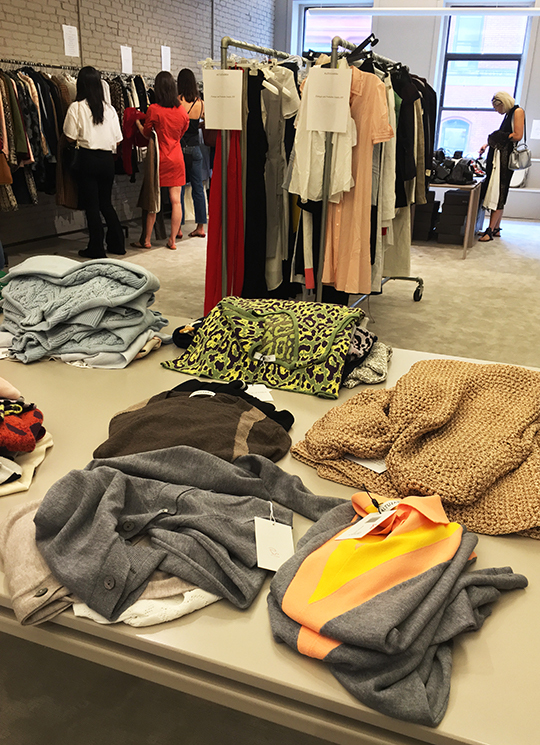 As expected, the sale's main focus was apparel and prices were divided into three groups. 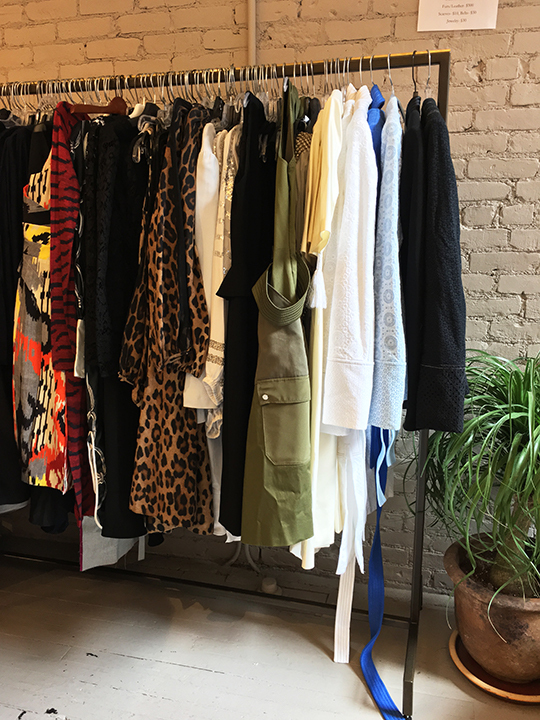 Pieces from Altuzarra's past three seasons were priced-as-marked while older collections had set prices based on the category (more on that later). 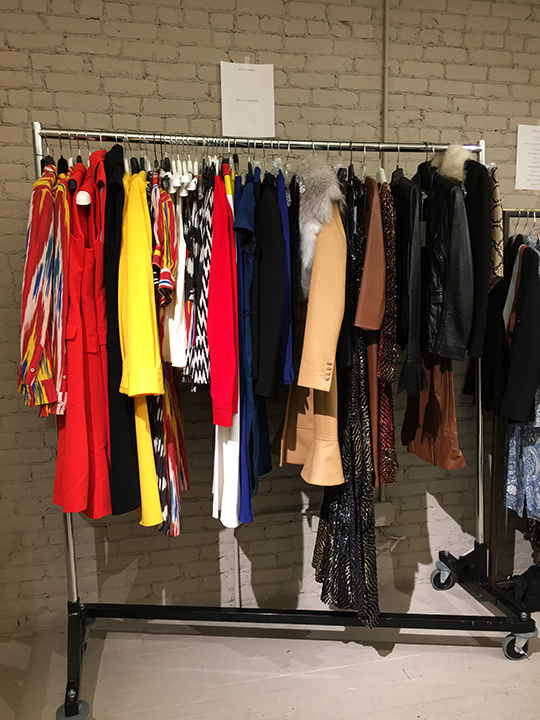 And finally, there were two racks of samples with items priced at $20 flat. 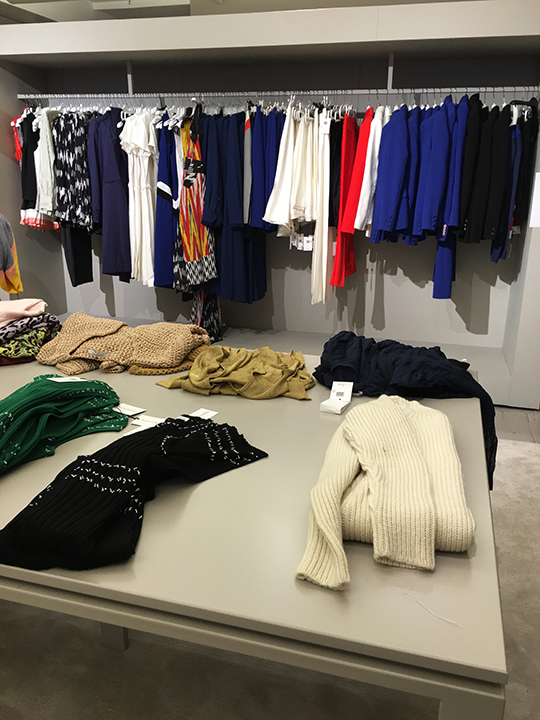 To delve further into details on the discounts, the price-as-marked section was comprised of six racks and one table. 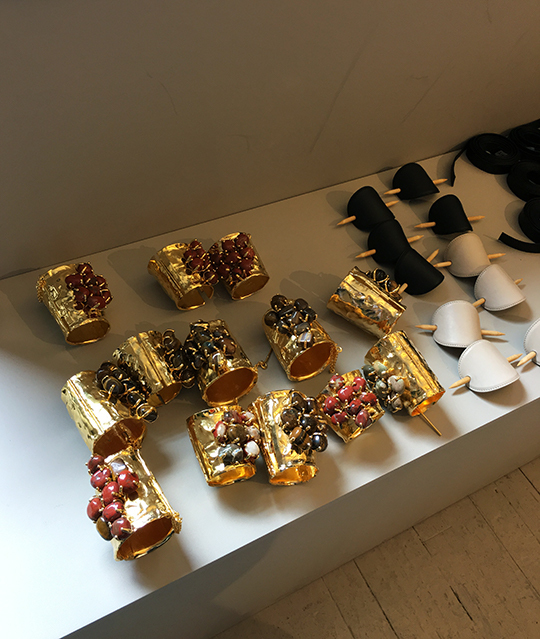 Here, items were anywhere between $100 and $500 with a few exceptions of heavily embellished evening pieces which were $1,500~$2,700. As for the older season items, they were price-categorized and were truly good bargains. 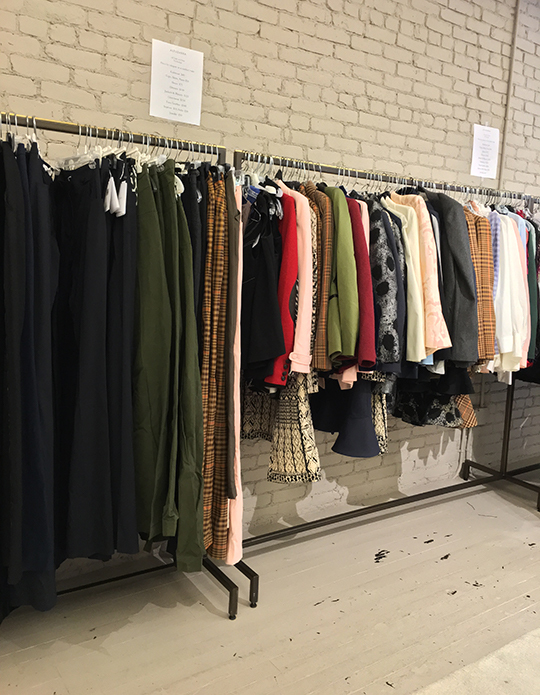 Tops, skirts, and pants were $50, sweaters were $40, dresses were $100, jackets were $125, outerwear was $150, and furs/leathers were $500. As far as the sample racks are concerned, each item was $20 but fellow Mizhattanites should note that these were real samples. Almost every single piece was either incomplete with sewing/safety pins still attached or slightly damaged. 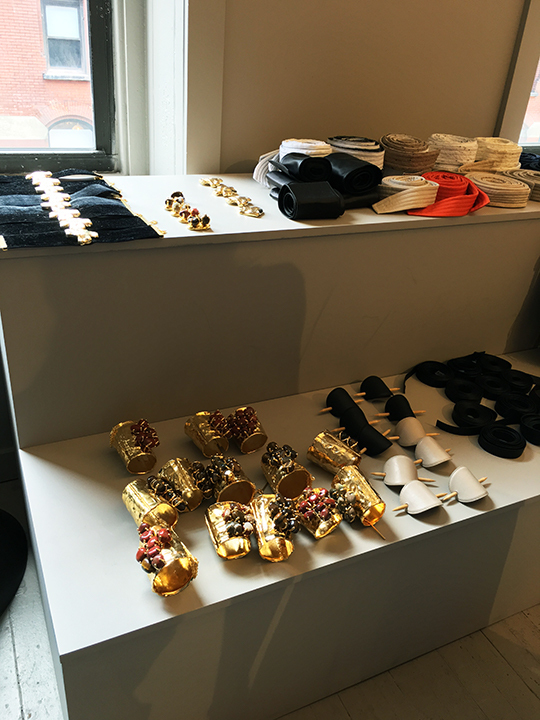 Situated by the windows near the registers were accessories and they were comprised of belts, jewelry, shoes, and handbags. 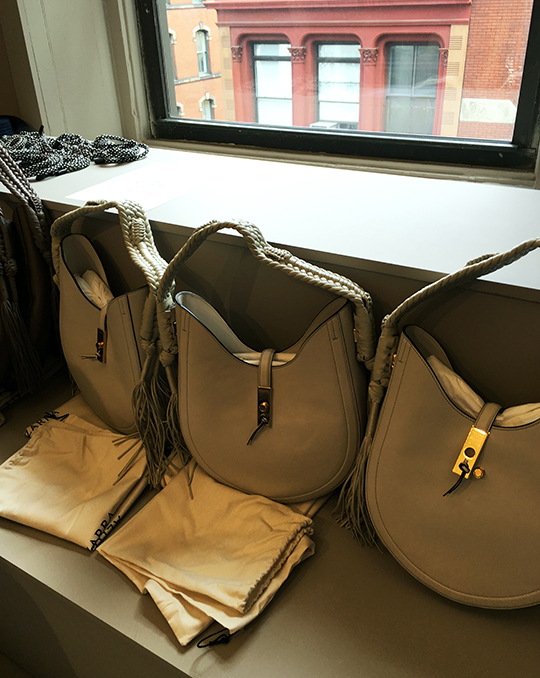 Altuzarra launched his inaugural collection of bags just last year and the sale carried large Ghianda hobos for $500. As for the other markdowns, they were very generous. Shoes were $75, scarves were $10, and belts/jewelry were $30. Even though the event wasn't wildly advertised, the showroom was fairly busy with shoppers perusing the goods. 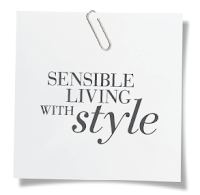 If you are in town and have the time and are a fan of the designer, it would be wise to stop by as the prices alone justify the trip downtown. Do u think there will be markdowns on Friday? Thx for the great report! As of now, I'm not sure if they will drop prices but I will let everyone know if I hear anything. What kinds of samples were there - I'm looking for a cool dress. Is it worth going down? Yes, there were dresses in the sample racks. Just remember, many of the samples were incomplete designs. Thank you for reading! hey Miz! Were there a lot of shoes in 37.5? Current styles? Sizes ranged roughly from 36 through 40. 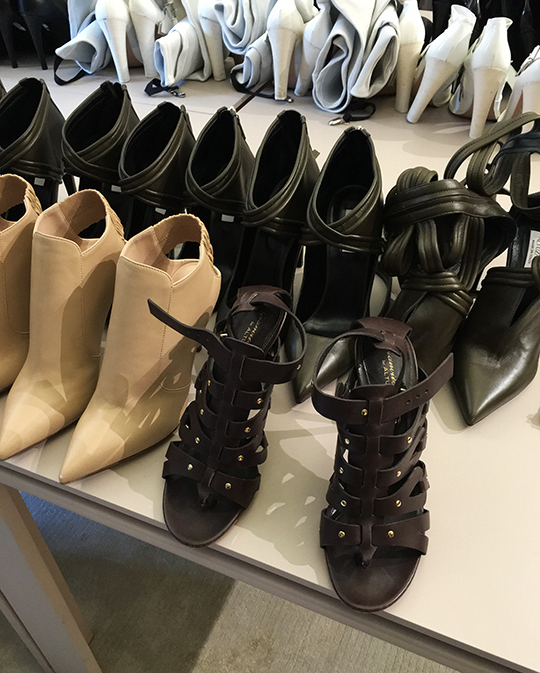 I saw lace-up heels from S/S '16 and pumps and booties from Pre-Fall '15. Can you please list the address of the sale? Thank you !